Wollongong, the ever-expanding economic centre for the Illawarra region, is transitioning from a manufacturing to a service-based economy, with healthcare, education and IT the core sectors at its heart. Knight Frank’s latest Research report, Wollongong Insight: June 2016 discusses the fundamental changes occurring in Wollongong’s business sector and how this will impact on the property market. According to the report, population growth in the Wollongong local government area (LGA) is expected to total 23,575 people by 2031, while the Wollongong CBD is projected to experience jobs growth of 3,773 over the next 20 years. 72 per cent of these jobs are anticipated to be in white collar industries, equating to office demand of circa 54,280 square metres. Knight Frank’s Managing Director, Illawarra Ben Mostyn said, “Wollongong’s connectivity, resident population spillover from Sydney and a growing government tenant presence will ensure it remains the epicenter for economic activity in the Illawarra region. “Currently home to 208,875 residents and 72,551 jobs, the Wollongong local government area accounts for 61 per cent of the region’s gross regional product - also supported by key infrastructure and education assets including Port Kembla and the University of Wollongong. Knight Frank’s Director, Research & Consulting, Paul Savitz, said, “Wollongong’s A-grade office vacancy rate currently measures 8.5 per cent, from 74,662 sqm of total A-grade stock, although vacancy will reduce significantly in early 2017. “While the office market has struggled in recent years from tenant relocations to newer premises and a lack of expansionary requirements from existing occupiers, there are positive signs beginning to emerge from the local office market. With the announcement that the State Emergency Services (SES) will relocate to the former ATO building in early 2017, the overall office vacancy rate will significantly reduce once the lease commences, as new supply remains constrained. “This is expected to signify a period of modest rental growth. Elevated vacancy rates and subdued tenant demand prior to 2015 has meant that rental levels in Wollongong have remained stagnant in recent years. “Currently, A-grade gross face rents average $425 per sqm with a broad range of $390 to $460 per square metre, while gross face rents are considerably below that of major non-CBD Sydney office markets, currently discounted by up to 22 per cent. “Looking ahead, some moderate upward pressure on rents is expected over the next 12-24 months; particularly for prime-grade assets,” said Mr Savitz. Mr Mostyn said, “The local Wollongong economy is currently shifting from manufacturing to service-based industries; primarily healthcare, education and IT services, which is anticipated to equate to office demand of circa 54,280 square metres over the coming two decades. “Highlighted by recent sales, investment demand for both office and industrial assets in Wollongong is strong, as investors are attracted to the high yield metrics on offer when compared to Sydney. Demand is expected to remain solid throughout 2016 and 2017. According to Mr Mostyn, as competition for core assets nationally increased exponentially over the past 18 months, and as yields fell, purchasers have been increasingly moving up the risk curve. 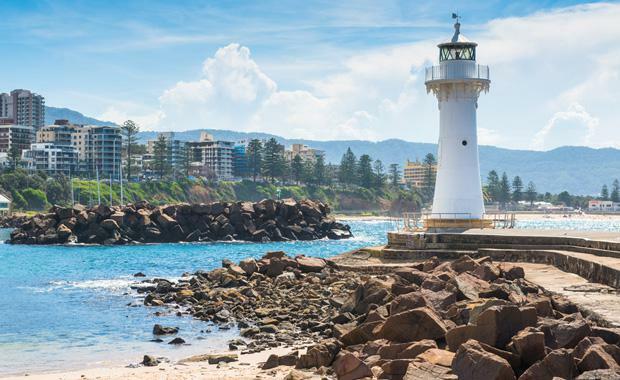 “This has resulted in demand spilling over into non-CBD and major metro markets, and Wollongong is beginning to benefit from this demand. Since January 2015, Wollongong office sales over $5 million have totaled $33.8 million. “The most recent significant sales transactions include the six-storey, fully-leased Australian Hydrographic Office Building in the Wollongong CBD. Tenanted by the Department of Defence until 2021, the property sold for $10 million plus. Another building at 8 Station Street also sold recently in April 2016 for $13.6 million at a net passing yield of 10.1 per cent. “These sales highlight the continued demand in the Wollongong market,” concluded Mr Mostyn.